The best practice for keeping your home fresh is to clean your carpet every 12–18 months. That’s because your carpet soaks up more dirt and dust than anything else in your house. But hiring a pro service every year can cost you hundreds of dollars per visit. In fact, the Rug Doctor performs so well, 98 percent of Rug Doctor users are satisfied with their carpet cleaning experience. 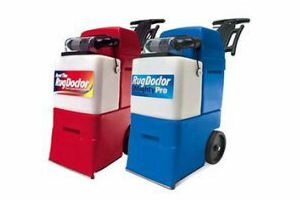 Rug Doctor® remains the first and best name in the carpet cleaning rental industry. Rental service contracts are completed at the checkout area, please see the cashier for information. Rent for 24 or 48 hours.